Tuberculosis (TB) is a major public health problem. One person dies of TB every 21 seconds. In 2017, the World Health Organization (WHO) estimated approximately 10.4 million people fell ill with TB accounting for 1.7 million deaths. The global incidence of bovine TB unknown due to lack of surveillance. Approximately 10 to 15% of the world’s human TB cases are due to bovine-TB. Bovine TB can affect human and animals. A human can be exposed from drinking unpasteurized milk or eating contaminated cheese or meat products or from inhaling infected particles from being in close proximity to infected herds. We propose to implement low cost, rapid diagnostic tests for surveillance of cattle for bovine TB. 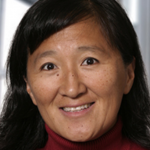 Shu-Hua Wang, MD in the Division of Infectious Disease/Department of Internal Medicine will discuss tuberculosis research in humans and cattle in Ethiopia. The event is free and open to the public. A delicious lunch of regional cuisine will be provided! Please RSVP. Dr. Shu-Hua Wang is a medical doctor with specialties in infectious disease including tuberculosis. Wang has experience treating disease in China, Guatemala, and most recently, Ethiopia. Wang is a chartered member of the National Society of TB Clinicians and is also a part of Infectious Diseases Society of America. Wang received Ohio TB Coalition Dr. Charles B Payne Memorial Award in 2011 for fighting against TB. If you can’t make it to the session, the talk will be live streamed and recorded.